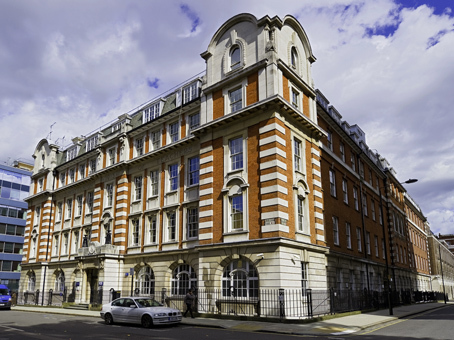 This King's Cross serviced office centre is located within a beautiful 1920’s building in the North-East corner of London's West End, on the south side of the Euston Road. This well-connected London office space allows you to save commuting time and hassle, yet gives you access to the business centre in a few minutes from most parts of central London. 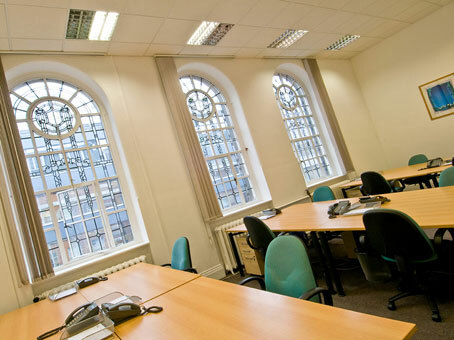 The large building has spacious offices, 5 conference rooms and various informal breakout areas - all of which creates a relaxed and enjoyable business environment. 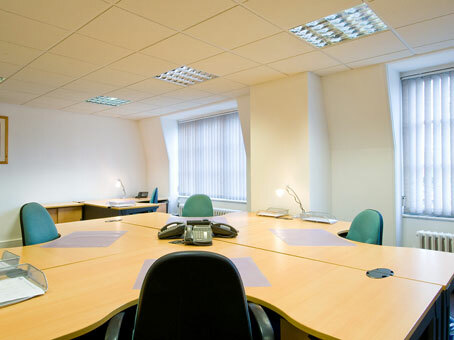 Whether you want a serviced office, a virtual office or simple meeting room rental, the business centre will provide you with everything you require, with the backup of a full range of business services that will ensure that your business runs smoothly, in a professional and productive environment. Kitchens are fully stocked with complimentary tea, coffee, hot chocolate, still and sparkling water. As well as being fully stocked with refreshments, the business centre's conference rooms are also provided with state-of-the-art facilities such as video conferencing, LCD projectors, flipcharts, writing pads and pens. The office's strategic location is equidistant to both Euston and King’s Cross/St. Pancras train stations also provide easy access to various parts of the City of London, as well as its surrounding areas. 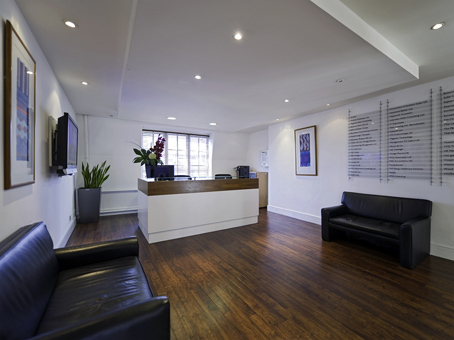 The centre is in close proximity to Grays Inn Road which is considered a major part of London’s 'legal' district, and where many of the city's major law firms are based.